On 31 October 2014, Sisters in Islam (SIS) filed a judicial review application to challenge a fatwa issued by the Selangor state authorities which declared the organization as deviating from Islamic teachings and subscribing to liberalism and religious pluralism. The leave application was heard in the High Court before Asmabi Mohamad J. 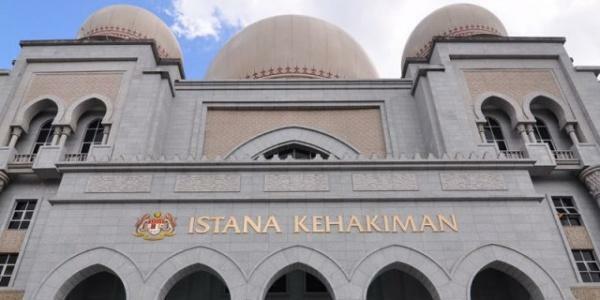 At the hearing, the Attorney-General’s Chambers on behalf of the Selangor state religious authorities in the action raised a preliminary objection (PO) on the grounds that the High Court had no jurisdiction to hear the matter as it falls within the jurisdiction of the Syariah Court. The learned judge dismissed the PO and ordered for the case to be heard on its merits. The substantive application was then fixed to be heard before Hanipah Farikullah J. At the start of the hearing, the Selangor state religious authorities raised the PO again. This time, the learned judge allowed the objection and dismissed SIS’ application without proceeding with the hearing on merits. Hanipah Farikullah J relied on Kijal Resort Sdn Bhd v Pentadbir Tanah Kemaman & Anor  1 MLJ 544 to determine that the jurisdictional issue concerning the PO has not become res judicata because the Selangor religious authorities were not represented during the leave proceedings. Did the High Court correctly apply Kijal Resort? Kijal Resort was about the judicial review of a land acquisition award. In this case, counsels for the Land Administrator neither attended the hearing nor had earlier filed an objection to Kijal Resort’s application for leave for judicial review. The court therefore granted the leave to Kijal Resort. It was only during the inter-parte hearing of the substantive application that counsels for the Land Administrator raised two POs. After the hearing concluded, the High Court dismissed the application on its merits. The court did not deal with the POs. Kijal Resort then appealed to the Court of Appeal against the High Court decision. In response to this appeal, the Land Administrator raised the POs again. This time, the Court of Appeal dismissed Kijal Resort’s appeal not on the merits of the judicial review application, but on the merits of the POs. In an appeal to the Court of Appeal against a judicial review by a High Court, could a respondent be deemed to have waived his rights to make a PO and estopped from it again if the respondent failed to raise it during the leave stage. In other words, the Federal Court in Kijal Resort held that the Court of Appeal was right in hearing the POs and in dismissing Kijal Resorts appeal. The Land Administrator was absent at the hearing of the leave application and had no opportunity to raise the PO then. Hanipah Farikullah J relied on Kijal Resort to allow the PO in the present case on the grounds that the Selangor state religious authorities were not present at the hearing of the leave application.3 However, the Court of Appeal held that Kijal Resort is distinguishable in that the PO had been raised, considered, and dismissed by Asmabi Mohamad J during the leave proceedings. Res judicata is a Latin term meaning ‘a matter judged’. 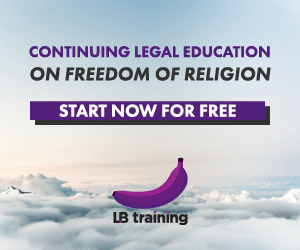 The doctrine prevents re-litigation of any claim or defence already litigated by parties, with the purpose of ensuring finality of judgment and conservation of judicial resources. The present case raises intriguing questions on the scope of application of res judicata, i.e. is it sufficient for a PO to be deemed as ‘a matter judged’ when it is raised and determined by different courts of coordinate jurisdiction? In Kijal Resort, the determination of res judicata on this question rested on the counsels for the Land Administrator’s absence at the leave application hearing and not having the opportunity to raise the PO until the substantive hearing. In this sense, the Court of Appeal in the present case would be right in distinguishing Kijal Resort. Unlike in Kijal Resort, the POs by the Selangor state religious authorities were first raised during the hearing of leave application before Asmabi Mohamad J that was held inter-partes. The Federal Court thus drew a distinction between the AGC officers and legal representatives of the state agency respondents in an appeal. 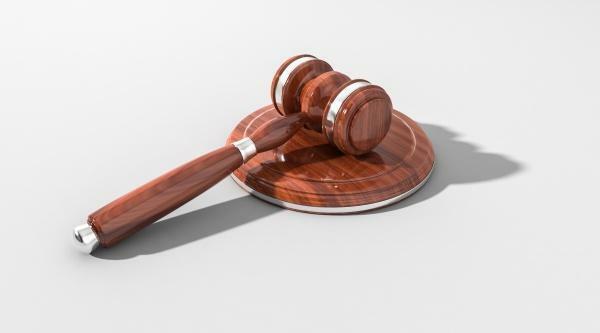 If this distinction exists, a respondent should neither be barred by the AGC’s failure to raise an objection, nor prejudiced by the AGC’s raising of the objection – what the AGC does or does not do should have little or no effect on the party. However, on the facts of the present case, there is little to suggest that the AGC officer at the leave application hearing was present in a different capacity than that of representing the Selangor Fatwa Committee and other state authority respondents. Therefore, if the distinction between the AGC and the Selangor Fatwa Committee does not bear, Kijal Resort would have no application in the present case. Stare decisis, or in its complete form, stare decisis et non quieta movere, is the principle of judicial precedent, usually translated as “to stand by decisions and not to disturb what is settled.’6 The concept is closely related to the principle of res judicata. In this regard, the Court of Appeal in reversing the High Court’s decision in the present case declared that ‘a court of coordinate jurisdiction has no power to override the decision of another court of coordinate jurisdication’.7 This is a statement that actually echoes stare decisis rather than res judicata. As the Court of Appeal pointed out, Hanipah Farikullah J’s decision in effect rendered two inconsistent and irreconcilable decision on the same matter in the same proceedings involving the same parties by the same court.8 This is exactly the type of situation which stare decisis sought to prevent. The principle lies at the heart of the rule of law which requires not only that people should be ruled by the law and obey it, but that the law should be such that people are able to be guided by it.9 A corollary of governance ‘by law, not by men’ is therefore that the law should be stable, prospective, open and clear. Any analysis of the Court of Appeal’s decision should therefore consider the implications of a reversed decision. Of course, the decisions would unlikely to differ when the same judge presides over both hearings. However, a decision of the later hearing that reverses decision of the earlier hearing, by the same or a different judge of coordinate jurisdiction, would subvert the rule of law and result in undue inefficiencies. Thankfully, the Court of Appeal in the present case was careful enough not to have condoned the discrepancy at the High Court on this issue. This article has sought to highlight some procedural issues at play in an otherwise public interest case. It makes no judgment on whether the courts’ decision on the issue of res judicata was ‘right’. It only seeks to point out the key elements to be considered on the road to achieving ‘rightness’. These elements include the what as well as the who of issues raised and the principle of stare decisis. However, it is unfortunate that the courts missed an opportunity to delve into and clarify these issues in their written judgments. whether the presence of the AGC (pursuant to mandatory procedural requirements of Order 53, Rule 3 of the Rules of Court 2012) in hearings of application for leave to judicial review can be assumed to represent the respondents. However, on 25 September 2018, a consent order between all parties was recorded in the Federal Court for the case to return to the High Court for hearing on its merits.14 The parties also agreed that jurisdictional issues could be raised during the substantive hearing and that objections based on res judicata would not be raised. Although this means that the substantive issues of this case will finally be heard after five years, such a relief is still tinged with regret that the issues on res judicata would be left unresolved. Posted on 21 November 2018. You can follow any responses to this entry through the RSS 2.0. Read more articles posted by Allyna Ng.